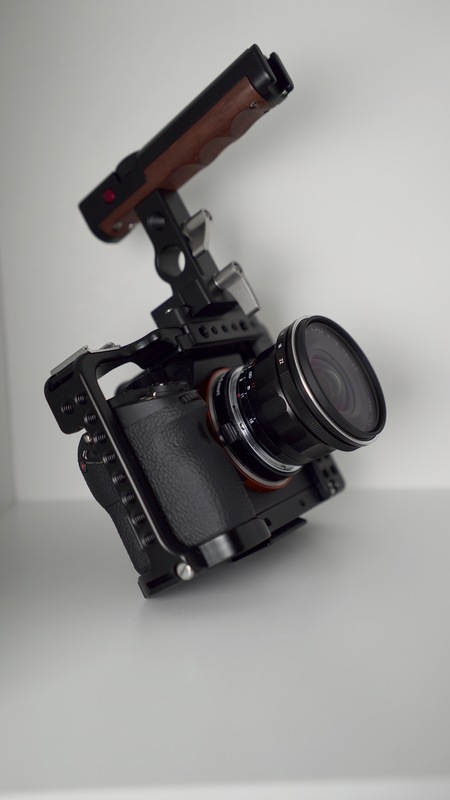 I already have the Movcam cage for my Sony A7s and I’ve been pretty happy with it. When I heard that Movcam had come out with a new version for the Sony MK II cameras, I was keen to get my hands on it to see if if was simply adjusted to fit the new camera or if there were genuine improvements. Let’s start with how it looks. I really like the look of the Movcam gear in general. They have very nice lines and fit snuggly onto the cameras. While looks aren’t the most important thing when it comes to a camera cage, it doesn’t hurt to make them pretty. A lot of other cages are very much built to just do a job. Plenty of manufactures don’t pay attention to aesthetics so it’s nice to see that Movcam seem to care about industrial design as well as functionality. In terms of functionality, the cage does well too. It leaves access to the cameras hotshoe, which is really important if you want to use the Sony XLR adapter or microphones. Some other cages on the market block off the hotshoe, so it’s nice that this isn’t the case with the Movcam. There’s also a cold shoe on the top right hand side of the cage, which is a very handy spot to mount a shogun mic. I’ve used a number of cages that only have a cold shoe on the handle, so placing a mic on the handle then makes your rig very tall. With the cold show on the top right of the cage, I can have my mic on the camera and the handle and still have it be fairly compact. The handle connects via a curvy connection point, the advantage here is that you can grab the handle with your entire hand and not have to leave space between your finders for the connector, it’s a small thing, but a nice touch to make the handle very comfortable to use. There is another cold shoe on the front of the handle and also a 15mm rod connection across the bottom which allows you to connect even more things. Of course the whole cage is made up of connection points for standard screws to connect arms and all sorts of things and you also you have access to the battery and card slot. So far this is all the same stuff featured on the mark I version. So what’s new on this one? The biggest change I really like is that they took away a bit of the top cage on the right hand side. By doing this you now have much better access to the camera dials and buttons. With the mark I, I had to kinda slide my fingers under the top of the cage and, even with my very small fingers, it was a challenge. My only real gripe is the same one I had with the previous version of this cage. It comes in three parts and you need a screwdriver and about 2 minutes to get it on or off. Of course, one of the things I really like is how form fitting the cage is, so I realise I can’t have it both ways. I just wish they could find a way to make it easier to get the camera in and out of the cage so that when I want to use it on a stabiliser, I can get it out and back in quickly. It would also be really good to be able to remove the handle without having to undo two screws, but again, that would probably compromise the form-fitting aspect of the cage. So it looks good, but how does the cage actually perform? Well I’ve used it to shoot two weddings so far and it’s been great. Being able to to attach my wireless mic receiver and shotgun mic and still keep the unit pretty compact has been really good. The cage isn’t super heavy, but does add some decent weight to the camera which I find really good for trying to hold it steady in run and gun situations. I also have the riser block and LWS baseplate which allows your to easily add the cage to rods and make a bigger rig setup. Nothing to really report here – it’s solid, tool-less (which is nice) and easy to use. Having lens support is a nice touch with the riser block. There’s also a new accessory that I also received – a new handle with a LANC control built into it. What is a LANC control, you ask? Well, it allows you to start and stop recording on the camera from a button on the handle. This is well worth getting excited about. This extra handle is also tool-less so it can easily be attached and detached. It also it has a centre pin that can be loosened so the handle can easily face back, forwards or sideways, depending on what you feel like. It has a rod connector so can be used as a handle on a rig, which can start and stop recording on the camera. All this means is I can now use the camera on my rig and hardy need to touch the camera itself. Even if you just got the LANC handle on it’s own, it’s a great accessory. All together, this is a good addition to your workflow and the improvements from the mark I to the mark II make it a worthwhile purchase. Do you still use this cage on the a7sii? I’ve been considering it but the main point that bothers me is the little dovetail built onto the bottom. Seems like it’d throw off the sturdiness of a tripod plate (less surface area and what not). 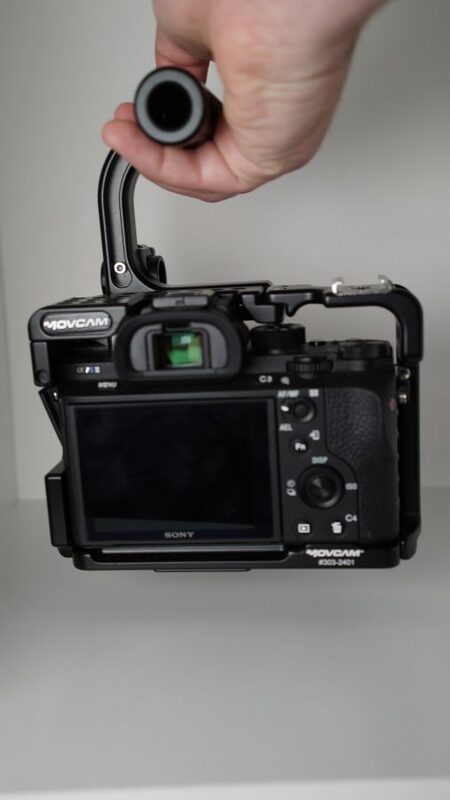 Would you still recommend the movcam cage? Right now it’s a toss up between this, the new smallrig, and the tilta cage. I don’t use the cage anymore, but that’s becuase I’ve moved onto bigger cameras like the fs5/7. 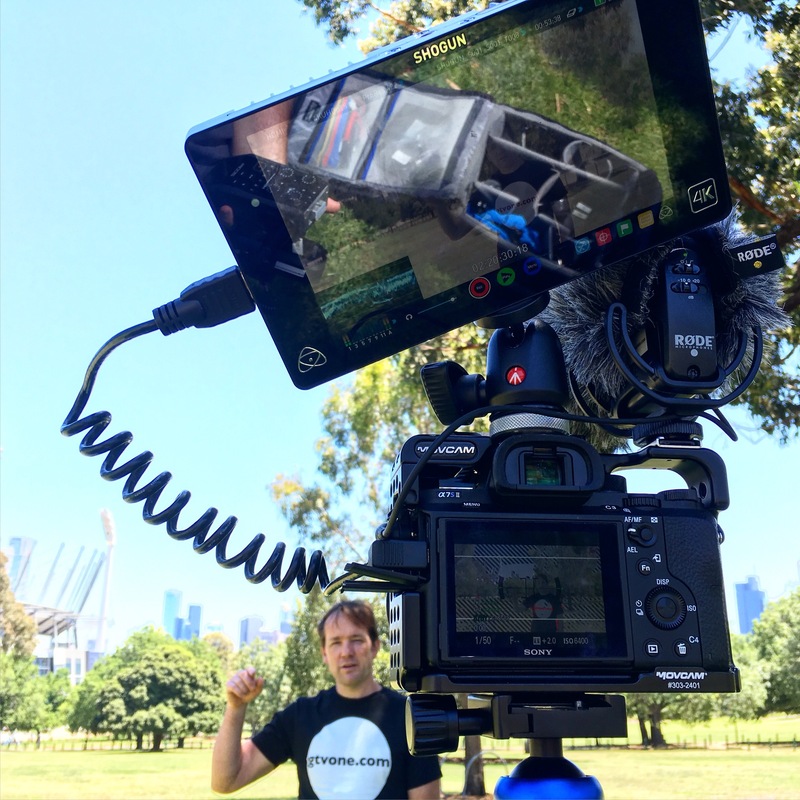 I would still recommend it as I found it really useful when I was shooting with the A7sII. It’s a nice tight fit and gave me the ability to attach things like mics and arms easily.